Ready for the ultimate bridal party? On Thursday, Feb. 7 we’re honoring our new location with an exclusive grand opening (and a very special guest)! That’s right … Head Designer of the Essense of Australia, Stella York and Martina Liana labels, Martine Harris, will be joining us for this extra-special evening of bridal bliss. 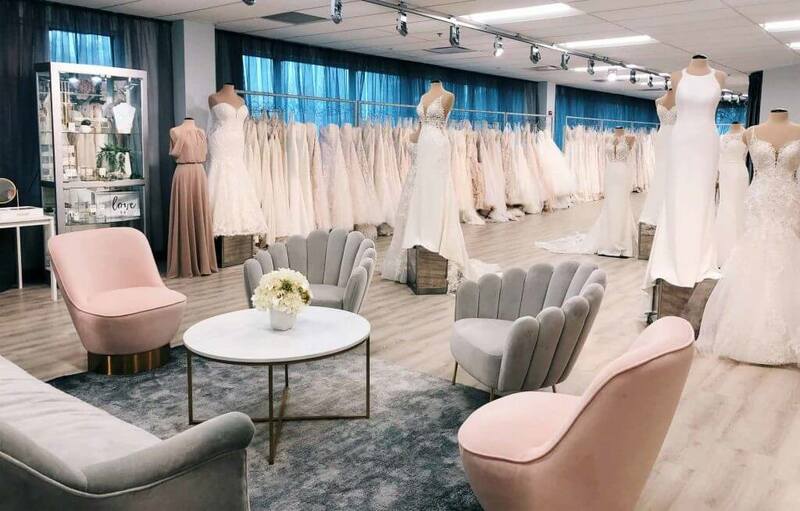 Brides and their ‘maids are invited to explore our Insta-worthy new space, featuring the decorative stylings of Tina with Balloon Arts and florals by Wild Hill … not to mention our all-new #bridetribe suite that bridesmaids will adore! So come browse the collections, mingle with the Belle Vogue staff and toast to your big day with the designer herself. We’re kicking the night off right with a special ribbon-cutting ceremony at 5:30 p.m., followed by a fun-filled night with bubbly and catering by Lon Lane and Bread and Butter. If that’s not enough, we’re throwing in some fabulous door prizes—including Kendra Scott jewelry, S’well bottles and more! You won’t want to miss the chances to win, fab photo ops and other surprises we have in store at this affair you’re sure to remember.